The GO team, who has released popular apps like GO Launcher, is ending the year by releasing their next project, fittingly dubbed Next Launcher. It’s $16. Yes, that sounds steep, but we have seen other super-powered launchers succeed at that price, most notably TSF Shell. And I would definitely consider this on that same level, especially after watching the video below. Next Launcher works with any device running Android 2.3.3 and above, but GO is recommending you have a dual-core processor. The launcher itself, includes a massive set of features. Your home screens have endless possibilities since there really are no standard grids. You can rotate icons and move widgets around as you see fit. 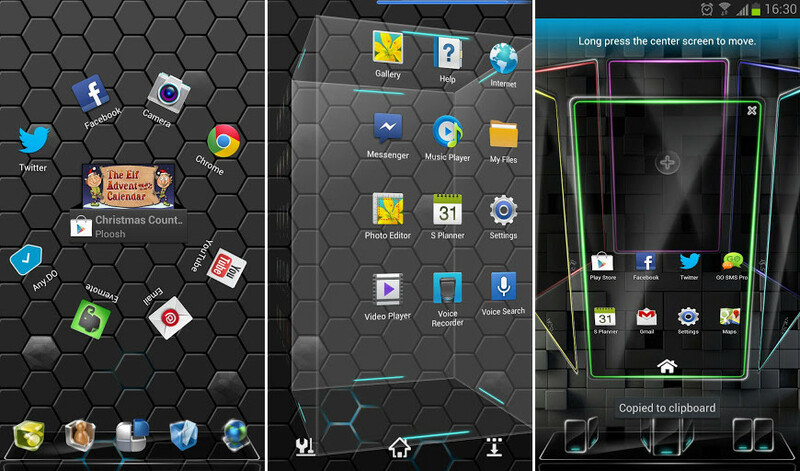 There are fancy 3D transitions, multi-select tools, quick resizing and arranging of icons, 3D widgets, and more. At this time, it sounds like only a select few wallpapers work with it, but the GO team says that they are working to open it up. They also mentioned in the description of the app, that themes are on the way. $16 is a steep price to pay for a launcher, but it looks like it has potential.